Rila Hotel in Borovets ski resort. Holiday packages from Cyprus. 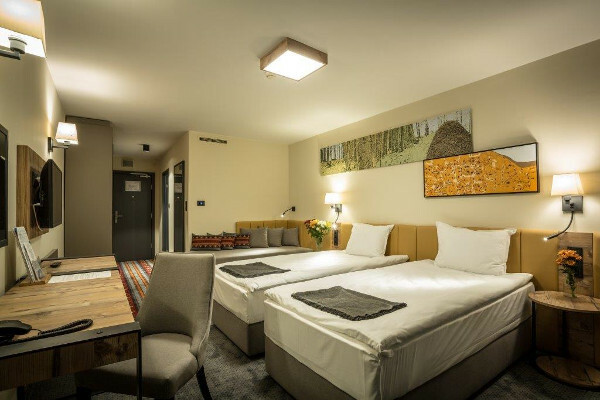 Hotel Rila is the centerpiece of the Borovets ski resort and truly impresses with its size. Sitting at the bottom of the Martinovli Baraki ski slopes, it offers its guests extreme ease of access to Borovets’ ski area. 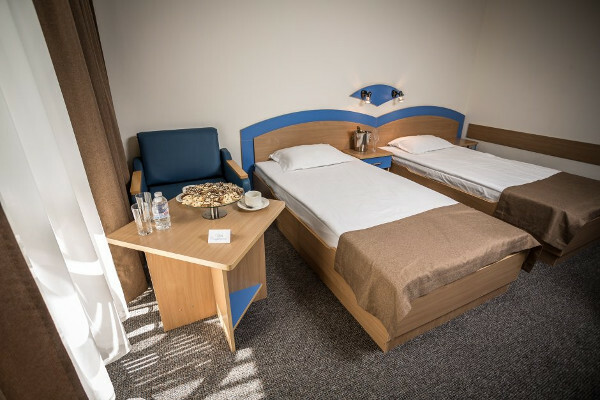 With more then 500 newly renovated rooms and studios Hotel Rila also presents a widely available and affordable choice for your ski holidays throughout the winter season. 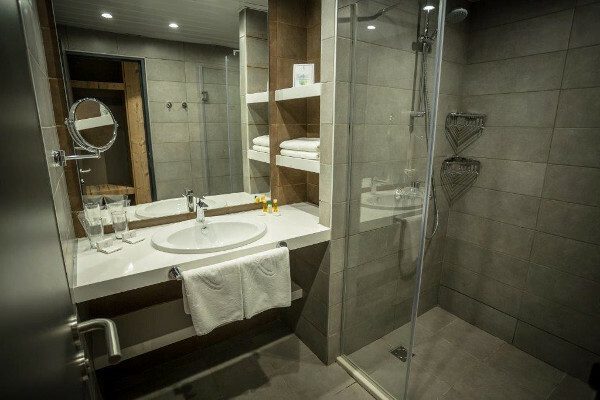 Rated as a four star property it has all the facilities one would expect from a ski in ski out hotel including a heated indoor swimming pool. A small casino is located within the hotel. WiFi access is of course available in all areas of the hotel. 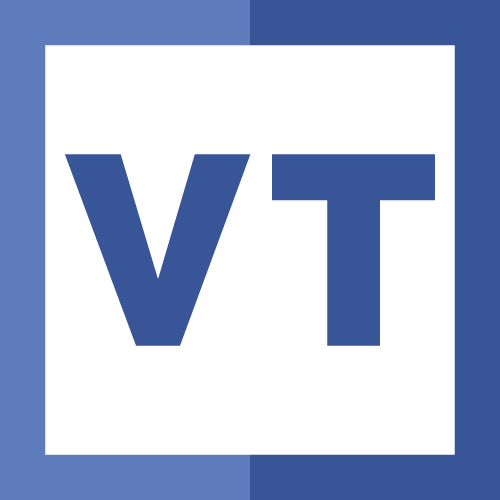 We at Varianos Travel are very happy to give our skier and snowboarder customers the option of booking their holiday to Borovets ski resort in Bulgaria with a stay at Hotel Rila. Please call us at 22663477 or email us to book your ski holiday or to get more information. All our packages include air tickets between Cyprus and Bulgaria, round trip transfers between Sofia and Borovets ski resort and hotel accommodation. 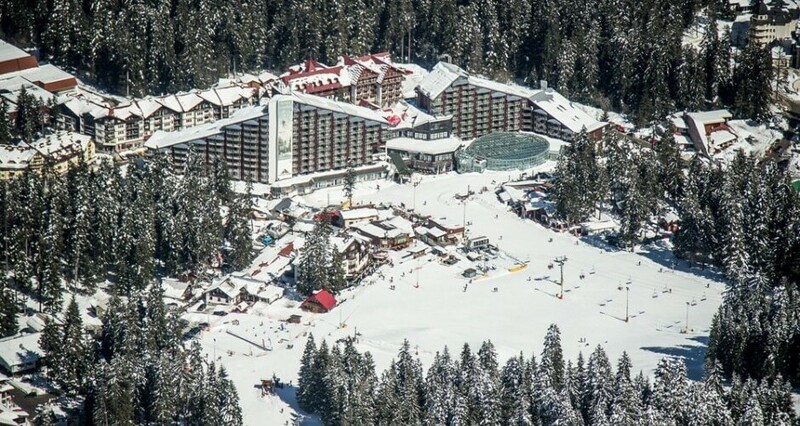 Hotel Rila in Borovets is located 69km from Sofia airport and has direct access to the ski resorts 58km of ski runs. 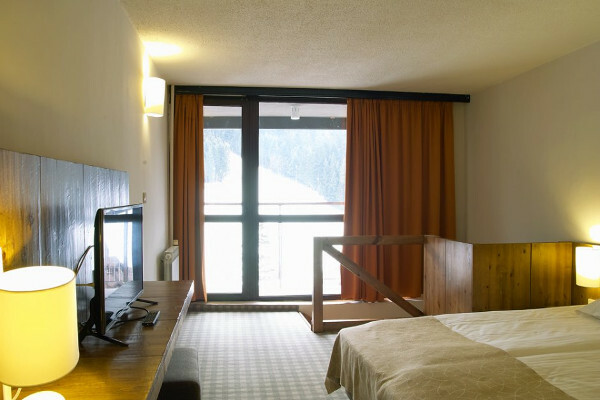 It is a tue ski-in, ski out hotel with direct access to a ski lift. The gondola station is located a short walk of about 200 meters downhill. There is a wide choice of restaurants and bars within walking distance. The Rila Hotel is a relatively large hotel with a good variety of room options. More specificaly it offers 185 standard twin rooms, 2 standard maisonettes, 180 new superior double rooms, 100 superior family rooms, 23 deluxe suites, 5 superior maisonettes, 1 superior suite and 1 superior Presidential suite. All rooms, maisonettes and studios have a balcony with half of them overlooking the slopes or the rest of the surrounding mountains. Rooms can sleep a maximum of three with the third person sleeping on an extra bed. 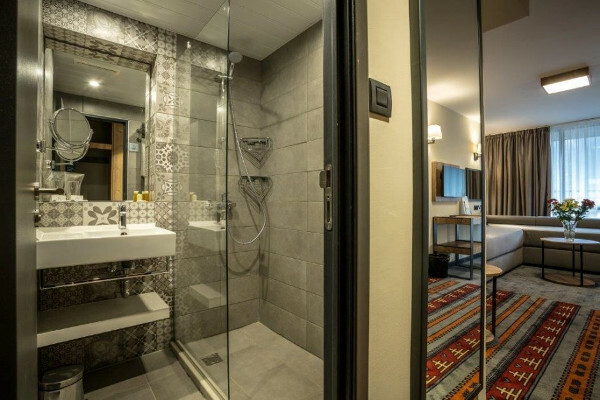 Rooms come equipped with satellite TV, hair dryer and ensuite bathroom. 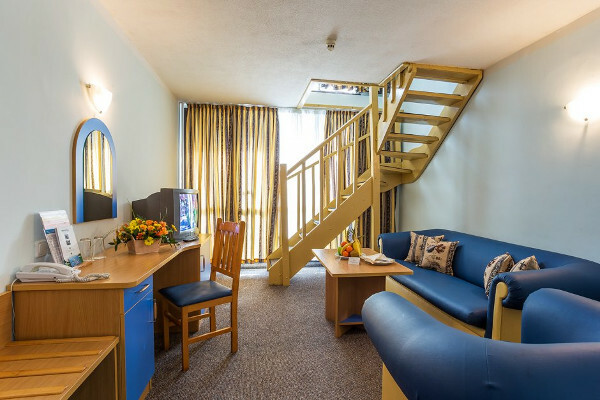 Studios have a small kitchenette with a refrigerator and can easily sleep four in twin, double and bunk beds. You will not be disappointed with the food and beverage options in Rila Hotel. Its main restaurant, Seasons, offers buffet style dining throughout the day. Breakfast is buffet style with a wonderful spread of hot and cold dishes to choose from. Guests may also choose to dine between the Samokovi Mezze & Grill restaurant offering mainly Bulgarian cuisine, the contemporary Champions Lobby Bar & Diner and the intimate Les Arcs restaurant! The Terrace is the in spot for apres-ski. 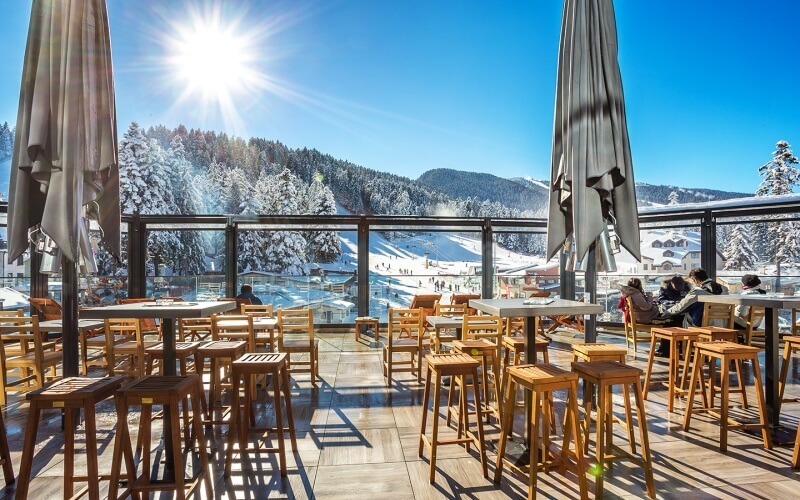 Sporting a glorious view of the slopes, you can enjoy hot and cold drinks while chilling our to some of the best music in Borovets! After a hard day at the slopes, there is nothing better thantaking care of your body at the Rila Hote’s recreational facilities. A huge indoor pool with fantastic view of the slopes is the perfect place to relax. If you are looking for a massage, the hotel’s spa is right for you. Sauna, steam bath, hot tub and a well equipped gym are also aavailable to guests. 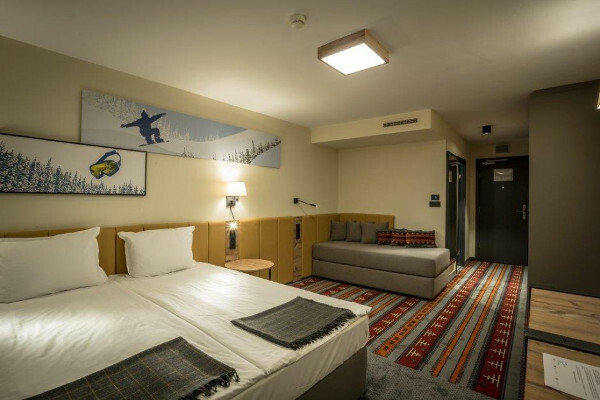 Hotel Rila is owned and operated by the same company that runs the ski resort. 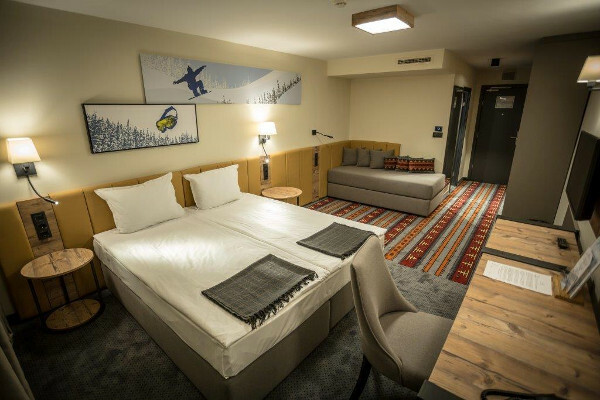 Borosport, the resort’s own ski school and ski/snowboard rental facilities are conveniently located inside Hotel Rila’s premises. Crèche facilities are available at the hotel for children aged between two and seven. A ski kindergarten is also located at the hotel and accepts children under four. The kindergarten gives children two hours of ski lessons and snacks are provided. Free WiFi connection is available. 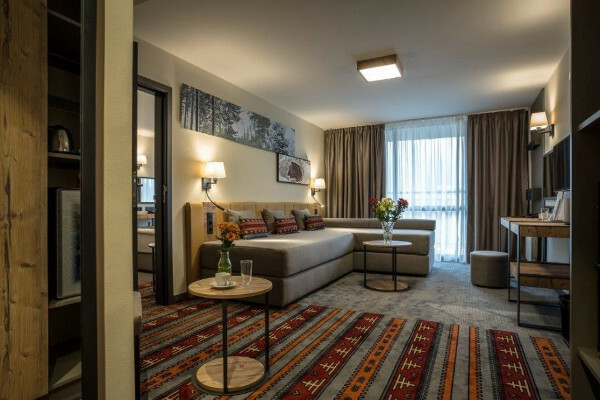 Call us at our Direct Ski Line (22663477) or email us to get your individualized cost of a ski holiday package with a stay at this ski in-ski out Borovets hotel. We make skiing holidays easy for you by offering complete travel package solutions. We can arrange flights, transfers between Sofia airport and Rila hotel at the resort, accommodation on various meal plans. Ski or snowboard equipment, lift passes and instruction can also be booked on request. We will love to hear from you.